Our targeted digestive enzyme blends are formulated for your body's unique needs so you always feel your best. 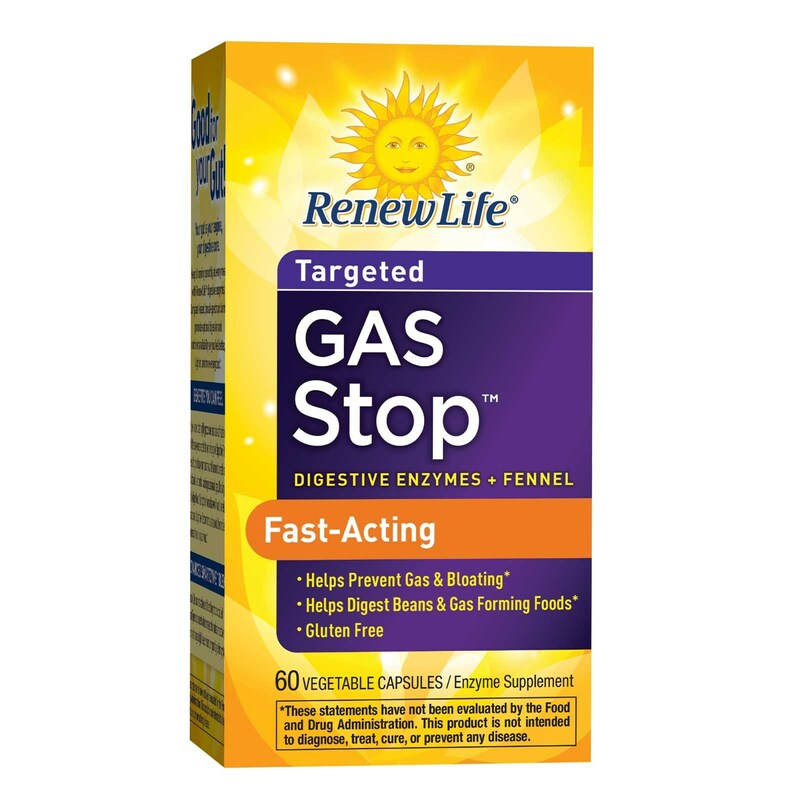 Gas Stop is a fast-acting, potent digestive enzyme blend that helps break down gas-forming foods to relieve occasional gas, bloating, and pressure. It also contains soothing fennel seed to help relax the digestive tract so you feel comfortable again. 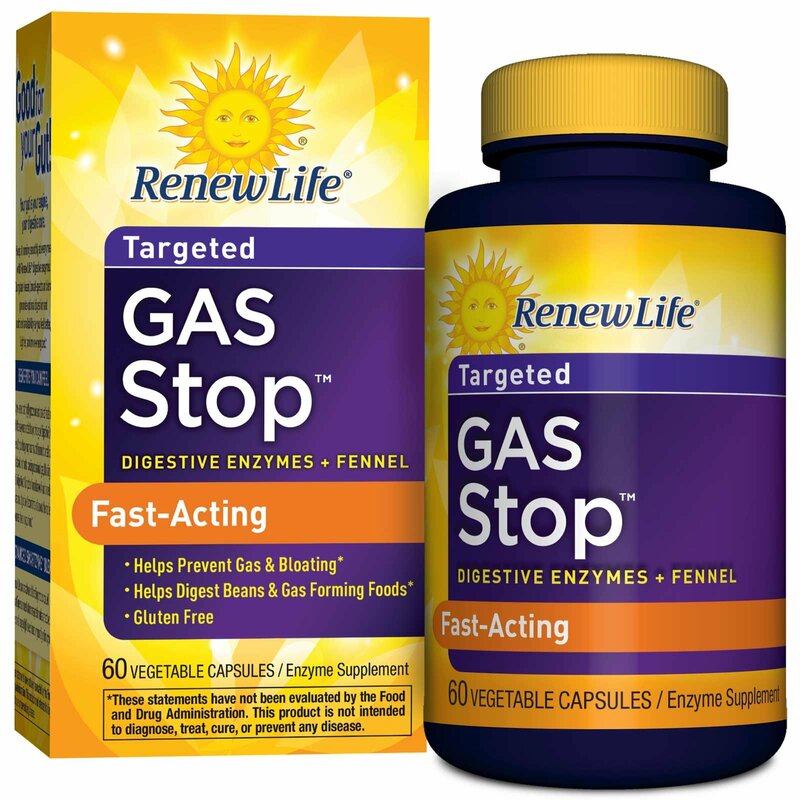 Keep it running smoothly at every meal with Renew Life digestive enzymes. Our plant-based, broad-spectrum blends promote optimal digestion and nutrient availability so you feel better, lighter, and more energized. Did you know that highly processed and cooked foods may lack the enzymes needed to optimize good digestion? As a result, your body may have to work harder to break down and absorb nutrients, causing occasional gas, bloating, and indigestion. Our potent formulas work hard to reduce occasional digestive discomforts and unlock the nutrient goodness found in your food. 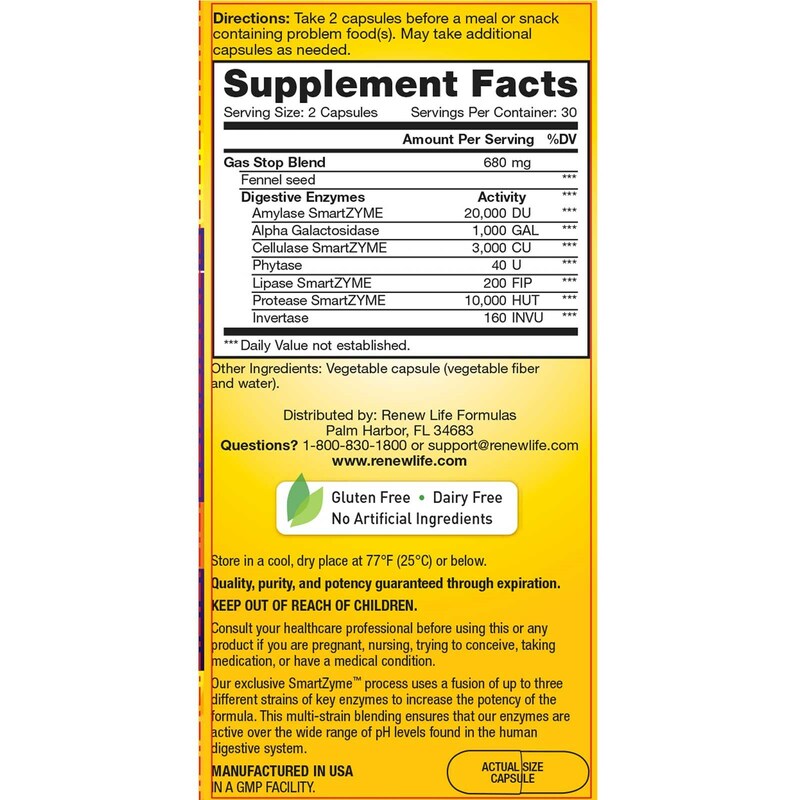 Renew Life uses an advanced blending process called SmartZyme to ensure that our enzyme formulas are active over the broad range of pH levels found in your digestive system. Take 2 capsules before a meal or snack containing problem food(s). May take additional capsules as needed. Store in a cool, dry place at 77ºF (25ºC) or below.